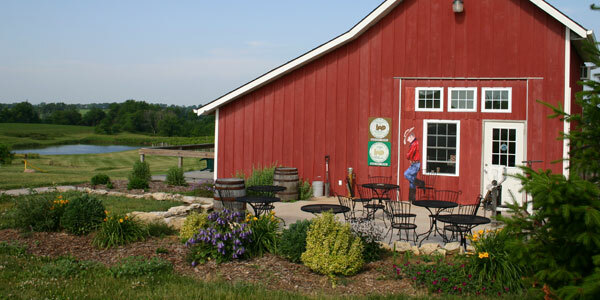 The Old Red Barn wine-tasting room and retail shop over-looking the beautiful Indian Creek Vineyard. A deck for outdoor enjoyment and indoor seating also available. Our pond is to be used for strolling along, picnic beside it, sharing wine with someone special, or even fishing. Scenic Courthouse Square where Lincoln and Douglas debated. Beautiful historic Stark County News Building, home of the Stark County News, The Bistro (a unique dining experience complete with frequent entertainment), and murals exhibited by renowned muralist Hector Duarte, of Chicago. Whether you begin...... or end your ride in Toulon, make Indian Creek Vineyard your destination. 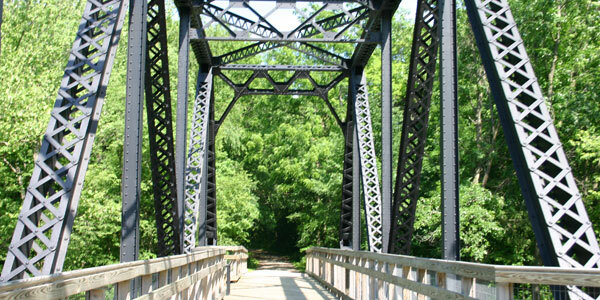 The Rock Island bike trail is a beautiful way to transport yourself toward a relaxing day. You will can enjoy the beauty of our vineyard within a mile and a half of Toulon. Continue on the bike trail heading West on Clinton Street, after the grain bins turn North (right) and we are 1 mile. Hope to see you here!!!! 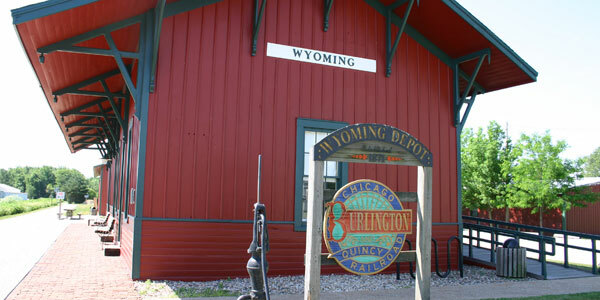 The CB & Q Railroad Depot located in Wyoming has been restored and now serves as headquarters and visitor's center for the Rock Island Trail State Park. The inside offers a brief history lesson of the depot and displays of wildlife. Hours are Saturday and Sunday only, from 9 am to 4 pm. 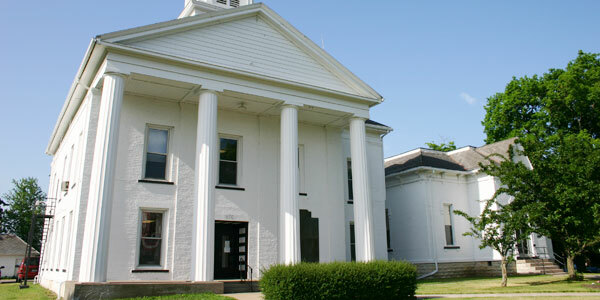 The depot is located on E. Williams St. between Main and Madison in Wyoming. Fabulous Prairie Art, owner Pat Scott. Phone 309-897-7781 for an appointment, tour of home included (www.scott.net). Morning Star Metal Works... sculptures, garden, specialty artisan and owner, Steve VanTrump. Prairie Country Gardens, Diane Nelson (309-932-8177). Annuals, garden art including Mexican pottery, fountains, globes. Sunnyfield Greenhouse and Nursery (309-852-4172) Choose beautiful vegetable and flower garden plants while strolling through their lovely setting while listening to Victorian music. Home of Good's Furniture and the Rathskeller Restaurant. Cerno's Tavern, one of the most beautiful back-bars in Illinois, serving food and fine beverages. A quaint Swedish community, worth the visit. Dining, antiques, entertainment, art museum, history museum, pottery, artisans, jewelry, lace and much more. Where the entertainment is endless: Civic Center, ethnic dining, entertainment, shopping, Riverfront dining and entertainment, Riverboat gambling, Riverboat tours. Home of Hornbacker's Gardens. 100 Hosta varieties, iris and other perennials. Dining, antiques, and shopping also can be found.